uAvionix, a manufacturer of navigation electronics, has announced the introduction of what it claims is the smallest and lightest ADS-B receiver ever made. 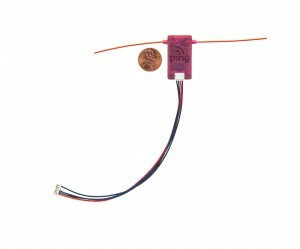 The pingRX weighs 1.5 grams and requires 1/100th the power of conventional ADS-B receivers. It implements “Sense and Avoid” capabilities for small drones operating in the National Airspace (NAS). ADS-B (Automatic Dependent Surveillance – Broadcast) helps aircraft operators sense and avoid possible collisions. ADS-B is mandated by the FAA for all aircraft in the U.S. National Airspace in 2020. Used now primarily on manned aircraft, miniaturizing the equipment allowed the technology to be useable on small drones. pingRX measures 32mm x 15mm x 3mm, which is a fraction of the size of earlier units. pingRX receives ADS-B information broadcast by other aircraft on 2 frequencies approved by the FAA (978MHz and 1090MHz.) This allows the unit to detect commercial aircraft threats within a 100 statute mile radius in real time. 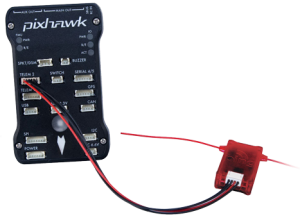 For drone aircraft system installation, pingRX is designed for direct MAVLink integration with Pixhawk autopilots and APM Mission Planner software. uAvionix will display the new receivers at the sUSB Expo in San Franciscoand the Xponential/AUVSI trade show in New Orleans.